December 16, 2011 -- Links International Journal of Socialist Renewal -- Africa’s newest communist party has been born with the formation of the South Sudan Communist Party. On June 28, the SSCP was formally launched at a press conference in Khartoum. 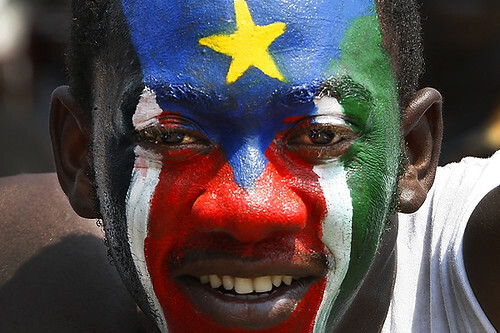 On July 9, the Republic of South Sudan officially came into being after seceding from Sudan. The new party was established by the former section of the Sudanese Communist Party in the south, and also involves returning southern SCP members who fled to the north of Sudan during the civil war. The party includes former SCP members who joined and were active at all levels in the Sudanese People’s Liberation Movement (SPLM), now the ruling party of South Sudan. Preparation for the new party began after the 2005 Comprehensive Peace Agreement (CPA) was signed, which ended the three-decade-long north-south civil war and paved the way for the January 2011 referendum on independence. The new South Sudan state faces enormous challenges after a long and difficult road to winning independence. While the most recent phase of the war in the south, from 1983-2005, caused the death of some 2 million people, the conflict and the suffering of the people of South Sudan long predates this. 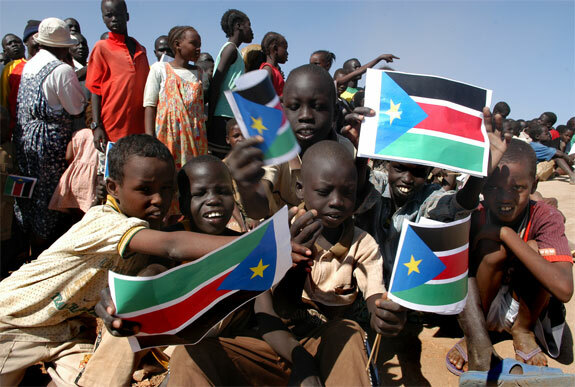 October 19, 2011 -- Morning Star -- Africa's newest state, the Republic of South Sudan, came into being on July 9. Its secession from the north has transformed the political dynamics of a region rich in natural resources and which still suffers from the legacy of Britain's long colonial rule. The original state of Sudan emerged from the bloody wars of conquest waged by Britain in the 1880s and 1890s. The region's previous rulers were Arab feudal landlords. Britain sought to rule the new colony by pitting the Islamic north against a south that was first Christianised and then used as a base for the mass commercial farming of cotton. Sudan achieved formal independence in 1956 and the new state entered a period of neocolonial economic control administered through a concordat with the economically reactionary Arab clans of the north. At the same time, these years also saw repeated challenges by more progressive nationalist elements and Sudan's relatively large working class, largely a product of its commercial cotton production. In the 1960s Sudan had one of the largest communist parties in Africa. 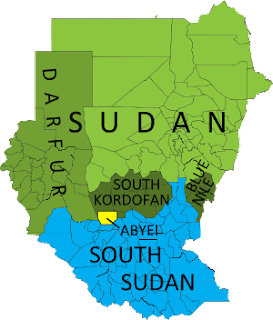 January 27, 2011 – Links International Journal of Socialist Renewal/Green Left Weekly -- The January 9-15 referendum on self-determination in south Sudan looks certain to result in the division of Sudan into two countries. About 96% of the 3.9 million registered voters took part, well exceeding the required 60% turnout. The final result will be announced in February. But with 80% of the vote counted, the South Sudan Referendum Commission reported a landslide vote of almost 99% in favour of independence. The Republic of South Sudan is expected to be officially declared in July. The referendum was mandated by the 2005 Comprehensive Peace Agreement (CPA). The agreement was signed in Naivasha, Kenya by Sudan’s National Congress Party (NCP) government and the Sudan People’s Liberation Movement/Army (SPLM/A), which had led the struggle in the south. The CPA ended more than two decades of civil war, in which more than 2 million people died. An election rally in Juba, South Sudan. The Sudan People’s Liberation Movement/Army has withdrawn from the election in the north, but is standing in the south. April 15, 2010 -- Hailed as the first “competitive”, “open”, “multi-party” elections in Sudan in 24 years, there was little free, fair or open about the national poll that began on April 11, boycotted by the major opposition parties. The holding of democratic elections was a key component of the 2005 Comprehensive Peace Agreement (CPA) that ended a two-decade civil war between the Sudanese government in Khartoum — ruled by the National Congress Party (NCP, formerly the National Islamic Front) since it took power in a 1989 military coup — and the South Sudan People’s Liberation Movement/Army (SPLM/A). Khartoum January 18, 2007-- Late last year, Green Left Weekly’s Kerryn Williams spoke to the assistant secretary of the Sudanese Communist Party (SCP), Suleman Hamid El Haj, in Khartoum about political developments in Sudan since the January 2005 signing of the Comprehensive Peace Agreement (CPA). The CPA ended the two-decade-long war between Sudan’s central government in Khartoum and the south.